Have you heard about Gutenberg, the all-new content editor coming soon to WordPress? It will completely transform the way you create content in WordPress! Don’t get caught by surprise when Gutenberg completely transforms the Editor in your WordPress site! 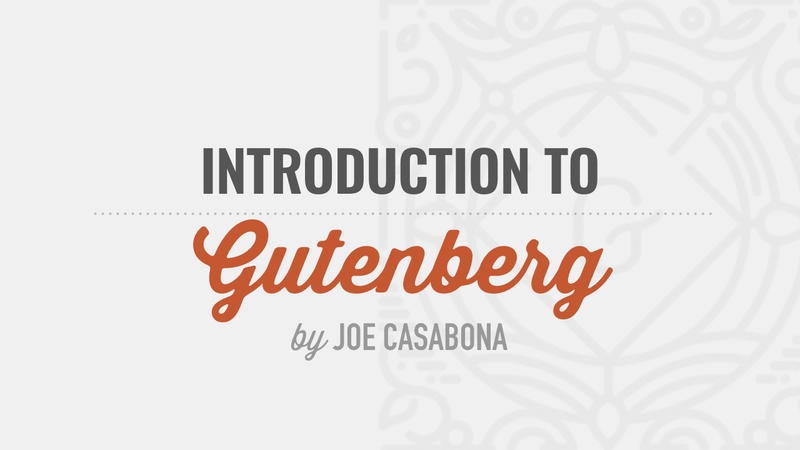 Our 17-part video course by Joe Casabona will introduce you to the all-new Gutenberg Editor in WordPress and show you how to use all of its exciting new features. Gutenberg will transform the WordPress editor into a powerful tool that will enable you to create rich content with more control over layouts. Gutenberg introduces the concept of ‘content blocks,’ and it's sure to have a massive and long-lasting impact on how you create content in WordPress. “Gutenberg” is the codename for the project that started a couple of years ago to create a completely new editor experience for WordPress. The goal is to create a new editing experience that makes it easy for anyone to create rich post layouts. Gutenberg will be the new editor as of WordPress 5.0, and it will revolutionize how you create content with WordPress. You’ll be able to build rich layouts, right within the content editor. When you dive into it, you’ll quickly find that Gutenberg enables you to create content like you’ve never been able to before. It’s without a doubt the most significant enhancement to WordPress in years. Out of the box, Gutenberg includes over a dozen “blocks,” or modules that you can drag and drop into your posts and pages to create just about any type of layout you can imagine. Blocks enable you to build beautiful layouts and more engaging content. Insert, rearrange, and style multimedia blocks without touching code. Just add a block and focus on your content. Want to try Gutenberg before you install it on your site? Yes! In fact, we’ve already begun updating and re-recording our entire WordPress 101 course to cover the new Gutenberg editor in our next version of the WordPress 101 videos. We’ve been carefully monitoring Gutenberg since it was first announced, and we anticipate the addition of 4-6 new video lessons to adequately cover the new Gutenberg editing experience in WordPress 5.0. Our commitment has always been to fully cover the ‘out-of-the-box’ WordPress experience, and we look forward to helping WordPress users of all levels get up to speed as quickly as possible with Gutenberg. As we’ve done with every release for the past 10 years, we began the process of updating and re-cording the entire WordPress 101 video series as soon as the new version reached the ‘Release Candidate 1’ phase. Unfortunately, that was just 10 days ago, and not nearly enough time for us to update the entire series, plus add 4-6 brand new videos to cover the all-new Block Editor in 5.0. Despite widespread requests for a January release, WordPress 5.0 is now slated for release on December 6th — less than two weeks after we were given the first Release Candidate. This particular release cycle has been fraught with controversy, bugs, and significant changes to the UI as late as Beta 5. There has been a great deal of discussion within the WordPress community about postponing the release date to allow sufficient time to ensure WordPress 5.0 is truly ready for release… to say nothing of the time needed by thousands of theme and plugin creators to ensure their products are also compatible. Two weeks is simply not enough time to properly prepare for such an important release. For the past ten years, we’ve worked diligently to ensure that our WordPress 101 videos were up-to-date with each and every new release of WordPress since version 2.5 — a whopping 25 times, to date! Sadly, this unnecessarily rapid release schedule means that for the first time in a decade, our WordPress 101 videos will not be up-to-date on the same day WordPress 5.0 is released. We know you rely on our training videos to provide the best WordPress learning experience possible. 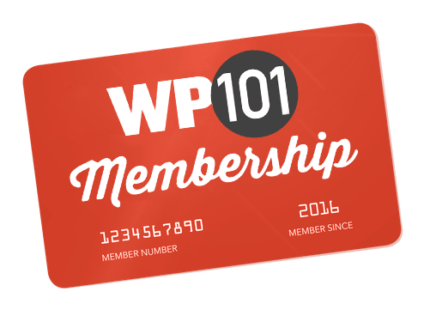 So, we’re proceeding with caution to ensure that our videos are accurate, and of the quality that you’ve come to expect from WP101. 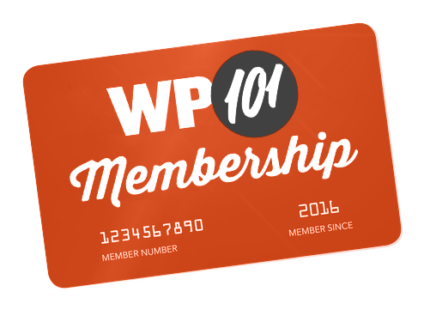 We hope to have the entire WordPress 101 video series updated within the next week or so. We’ve even canceled our trip to Nashville for WordCamp US this weekend—despite being sponsors of that event—so we can work on the new videos. We appreciate your patience as we endeavor to make the most of this timeline we’ve been given. Stay tuned! Meanwhile, our ‘Introduction to Gutenberg’ course will get you up to speed! Content creators who want a more powerful native content editor without the need for a plugin. The new WordPress Editor is introducing the concept of blocks, giving us more modular content layouts. If you create content, this course will show you how get the most out of this new experience. Freelancers and agencies who need to know how Gutenberg works for their clients. This course will give you everything you need to effectively prepare your clients for the upcoming change to WordPress, including UI walk-throughs and test plans for upgrading. WordPress educators who train users on how to use the Dashboard. If you’re tasked with teaching folks how to use WordPress, this course can be your first foray into creating your own lesson plans and material for your students, employees, and customers. Ready to get started with Gutenberg? We think you’re going to love creating content with the all-new Gutenberg Editor, but it definitely comes with a learning curve. That’s why we’re making this course available now!